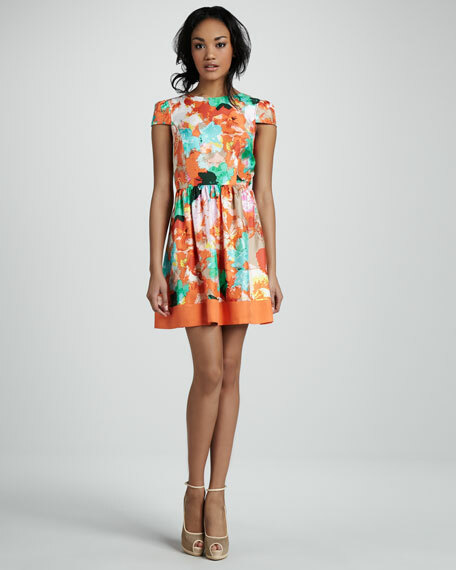 Vintage-inspired silhouette and colorful floral motif put together this Ali Ro little dress. Back closure with cutout; exposed back zip. Kathleen McFeeters launched Ali Ro in 2007 and named it as an acronym of the names of her daughter and mother. The line features alluring silhouettes and a playful mix of embellishments and original prints.